Yeah Baby!!! 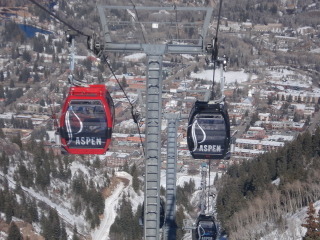 A couple of huge pre-season dumps allowed for an early opening at Aspen Mountain. If you were sitting at your desk or driving carpool, you missed a beautiful day----severe clear!!. Aspen Spin reccomends that you pack up your blackberry and get your A$$ out here ASAP and RIP IT!! Wow! this site is hip as hell. Have you seen the Chathams yet? My new Rover Sport should be in anyday. Do you know anyone who can detail it while i'm on Ajax? Be cool dude!! Tips up. Nice site...I like it !! Great work! Now we need some real juicy gossip on it!! Maybe you can get the newspaper to write you up! nice blog dude! you're a good documentarian, keep it real! Coming out 01/02/07 for some turns, tunes and tequilas- look you up then, take it easy. Pics make me yearn to turn. Great local and extended local flavor! Sounds like things are going well. Nice site. Send me your address we want to send you some mail.